Stephen Hawking was 76 years, 2 months	& 6 days old age. Stephen Hawking was born on 08-01-1942 in Oxford, England, United Kingdom. He was a British, English Theoretical Physicist, Physicist, Cosmologist, Astronomer, Writer, Author, Scientist, Memoirist, Mathematician & Mental Calculator. Stephen Hawking's birth came at an inopportune time for his parents, who didn't have much money. The political climate was also tense, as England was dealing with World War II and the onslaught of German bombs. Hawking entered University College at Oxford University at the age of 17. 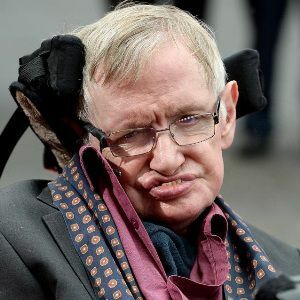 Although he expressed a desire to study mathematics, Oxford didn't offer a degree in that speciality, so Hawking gravitated toward physics and, more specifically, cosmology. In 1962, he graduated with honours in natural science and went on to attend Trinity Hall at Cambridge University for a PhD in cosmology. 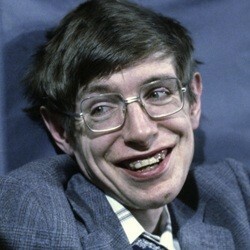 In 1968, Hawking became a member of the Institute of Astronomy in Cambridge. The next few years were a fruitful time for Hawking and his research. In 1973, he published his first, highly-technical book, The Large Scale Structure of Space-Time, with G.F.R. Ellis. In 1974, Hawking's research turned him into a celebrity within the scientific world when he showed that black holes aren't the information vacuums that scientists had thought they were. When Hawking’s radiation theory was born, the announcement sent shock waves of excitement through the scientific world. 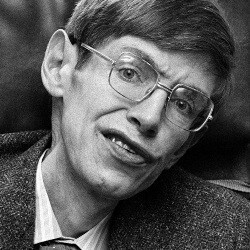 Hawking was named a fellow of the Royal Society at the age of 32, and later earned the prestigious Albert EinsteinAward, among other honours. He also earned teaching stints at Caltech in Pasadena, California, where he served as visiting professor, and at Gonville and Caius College in Cambridge. If there was such a thing as a rock-star scientist, Stephen Hawking embodies it. His forays into popular culture have included guest appearances on The Simpsons, Star Trek: The Next Generation, a comedy spoof with comedian Jim Carrey on Late Night with Conan O'Brien, and even a recorded voice-over on the Pink Floyd song "Keep Talking." In 1992, Oscar-winning filmmaker Errol Morris released a documentary about Hawking's life, aptly titled A Brief History of Time. Other TV and movie appearances include: ‘The Big Bang Theory’. In October 2017, Cambridge University posted Hawking's 1965 doctoral thesis, "Properties of Expanding Universes," to its website. An overwhelming demand for access promptly crashed the university server, though the document still fielded a staggering 60,000 views before the end of its first day online. For his contribution, he had won himself numerous awards including Adams Prize (1966) and Albert Medal (Royal Society of Arts) (1999) among others. 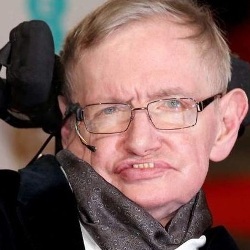 Stephen Hawking died on 14-03-2018 in Cambridge, England, United Kingdom at the age of 76. He died at his home due to Chronic Illness which is declared by his family members. He was born to Frank and Isobel Hawking. He had 3 siblings. 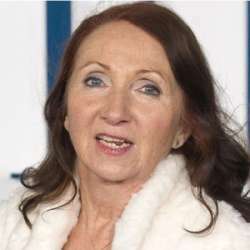 He was married to Jane Wilde from 1965 to 1995. 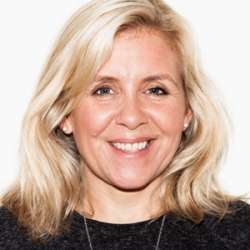 Together the couple was blessed with 3 children including Lucy Hawking. He then married Elaine Mason in 1995. However, the marriage didn’t last long and the couple divorced in 2006. Stephen was diagnosed with ALS, a form of Motor Neurone Disease, shortly after his 21st birthday. Hawking was named a fellow of the Royal Society at the age of 32, and later earned the prestigious Albert Einstein Award, among other honors. Hawkings had participated in a trial of a new headband-styled device called the iBrain in the year 2011. 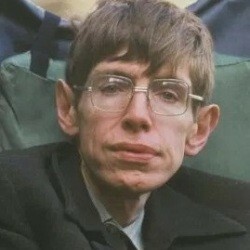 Hawking was elected Lucasian Professor of Mathematics at the University of Cambridge in the year 1970.